As technology advances, technological devices become smaller and more compact. To observe this trend only has to look to the enormous bulk of the first cellphones in the 1980s or the first supercomputers, which took up entire rooms, wall to wall. The same trend can be seen in cars, music players and dash cameras. 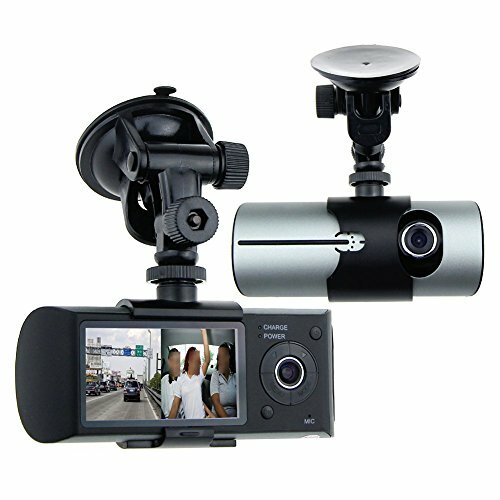 The first dash cameras were full-fledged video cameras. They were mounted clumsily onto the dashboards of police cars, required manual operation and often the picture was blurry or non-existent at night. Worse, these cameras took up a great deal of space on the dashboard and required a constant collection of VHS tapes. These tapes were subject to damage when exposed to extreme temperatures and their non-digital format made it difficult to label and locate incidents on the tape after the fact. Nowadays, dash cash cameras have become smaller and lighter and more resistant to heat or cold. They occupy less space insidea car and instead of bulky videotapes,they now record onto tiny SD cards which can hold hours and hours of footage when set to a continuous loop recording that rewrites over oldest files first. For someone on the market to buy a small dash camera, the choices are endless. Almost every dash cam today touts itself as being lightweight and compact. But which small dash cams are really the best? Which are truly small when compared to the industry standard? Fortunately for you, we’ve put together a list of best small dash cameras on the market today. All the research is already done for you here – all you have to do is determine how much you’re willing to spend as well as make a decision as to which features are must-haves and which features are not absolutely necessary. Whatever your personal preferences, we’re convinced that you’ll be able to find a small dash cam that fits your need as you browse our list of best small dash cameras on the market today. What are the Benefits of a Small Dash Camera? What are the Drawbacks of a Smaller Dash Camera? 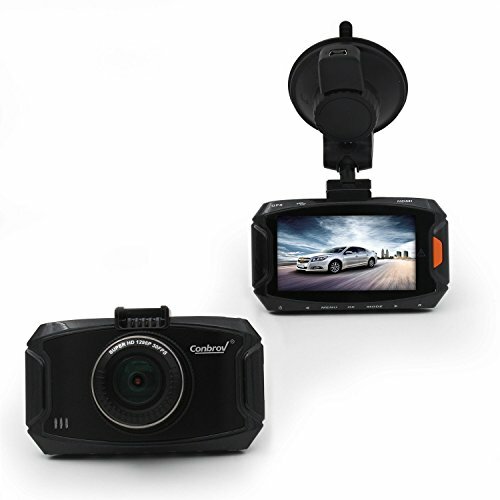 The WheelWitness is a smaller dash cam with a powerful lens that can film in impressive super HD quality at 1296p. Weighing in at a mere 5 ounces, one might think that such a tiny device may not be capable of such clear footage, but don’t let the size of this dash camera fool you – the WheelWitness films a whopping 170 degrees of the road in front of you, guaranteeing a sharp, clear picture that allows you to isolate important details like a car’s license plate or a car’s make and model, and even the face of the driver! The WheelWitness can be installed anywhere within the vehicle. It comes with 2 sticky mounts and one suction cup so whatever your mounting preference, the WheelWitness does it job within the vehicle and stays out of sight and out of mind. The WheelWitness also comes with GPS technology so you can line up your video footage with a Google Maps screen. This allows you to see exactly where you were and precisely where an incident occurred. It also allows you to keep an eye on the vehicle if you lend it to someone else. The Vantrue N2 is a small, cylindrical shaped dash cam. While slightly larger than the WheelWitness, there is a good reason for this extra size and weight. 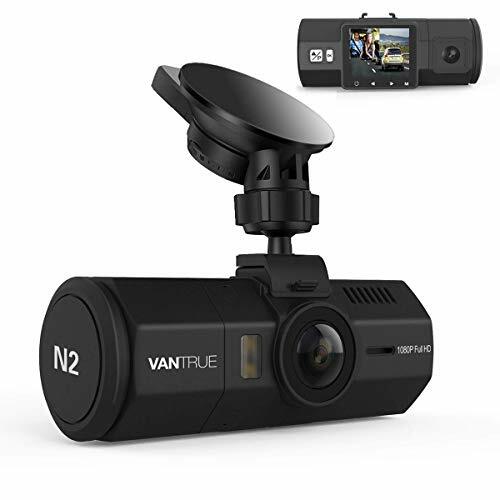 The fact is the Vantrue N2 is a dual channel dash cam, meaning it can film the front of the car and the back of the car simultaneously. With both ends of your car under constant surveillance, you can be sure no incident goes unnoticed. The dual recording feature is a huge benefit to any driver. Traffic incidents occur just as frequently at the front of a car as at the back end – think of tailgaters or people who fail to brake in time or accidental bumps in parking lots. With the Vantrue N2, you’re covered on both ends. The Vantrue N2 front facing camera is the strongest and most precise of the two cameras. It films in full HD, 1080p, and captures 170 degrees of the road in front of you. The back facing camera, while not as strong, still does more than enough to do the trick. Use this to keep an eye on your bumper in parking lots, or to film passengers (as long as you have their consent).The back-facing camera films at 720p and captures 140 degrees of the rear view. The AUTO-VOX is a tiny dash camera that touts itself as being a stealthy alternative to other larger dash cams on the market. Its unique wedge design allows users to install the device behind the rear view mirror so that it is becomes almost completely camouflaged. 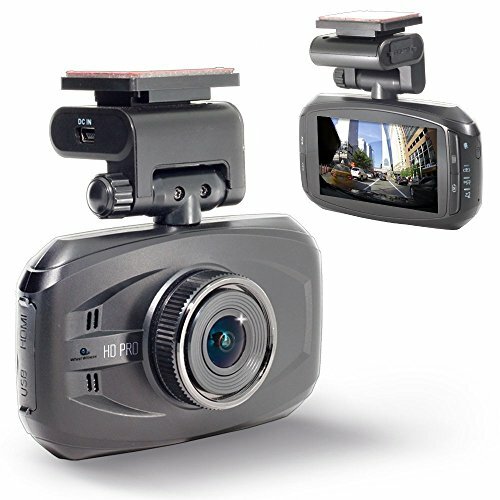 Even if it were to be seen, the unique design of the AUTO-VOX hides the fact that it is a dash cam and so remains out of sight from the prying eyes of thieves or vandals. 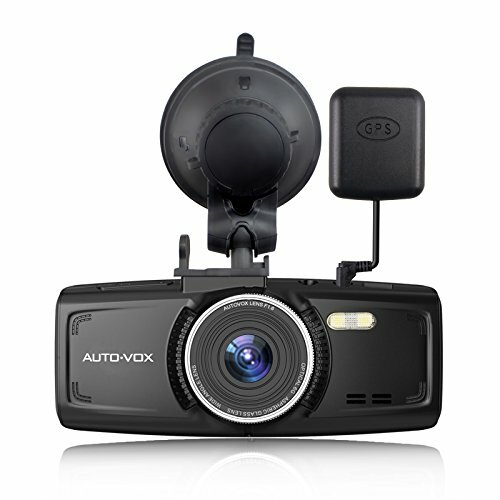 The AUTO-VOX, despite is small size, still films in 1080p and captures 170 degrees of the road as you drive. There is a small adjustable knob on the side of the device which allows you to position the camera to your exact liking ensuring you get the best shot each and every time you take to the road. Furthermore, instead of a battery, the AUTO-VOX uses a capacitator as its power source. The benefit of this is that the AUTO-VOX can withstand extreme temperatures that would otherwise destroy a dash cam with an internal battery. If you live in a hostile climate and want a small dash cam with a unique design, the AUTO-VOX might be the best choice for you. The Z-Edge is another small dash camera, on the opposite end of the price spectrum as the Kingmak listed above. The Z-Edge, unlike the Kingmak, can film in an amazing 1296p thereby guaranteeing you super clear shots whether you’re on the road during the day or at nighttime. The often-praised ambarella chip of the Z-Edge adjusts to every lighting position under the sun so that you never miss an important detail. The 3 inch scratch resistant LCD screen dwarfs the screen of the Kingmak and allows you adjust settings easily and edit videos right there on the spot without having to transfer footage to an external viewer like a computer or a tablet. 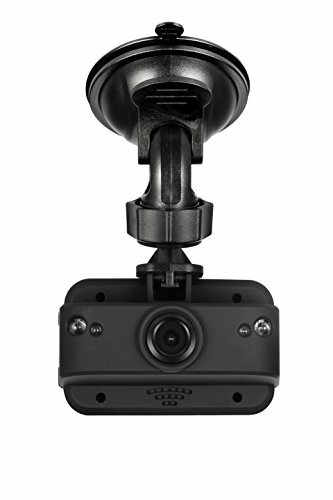 The attachment for the Z-Edge dash cam can be placed easily within the vehicle and is quickly removable. If you’re in the mood to change the location of the dash camera, no problem, the Z-Edge makes that easy. It is important to note however that the Z-Edge does not come with GPS or Wifi capability. If either of these two features are requirements for you, make sure you look elsewhere. The compact, sleek design of the GEKO dash cam allows you to position the dash cam within the vehicle in such a way that it won’t block your line of sight or prove distracting to passengers. Despite it’s tiny size, the GEKO still films in HD at 1080p. Small but powerful, the GEKO comes with a 1.5-inch display and films 120 degrees of the road in front of you. It promises resilience and durability in even the harshest of weather conditions. The Awolf, like the Vantrue N2, is a dual channel dash cam thatfilms the front and back of your car simultaneously, giving you full coverage each time you get inside the car to drive. The Awolf, however, is a much cheaper alternative clocking in at about half the price of the Vantrue N2. The Awolf comes with technological advances like GPS capability, which allows you to view where the car has gone on previous excursions. Similarly, with specialized software, you can actually view the video the Awolf records live while sat at a computer. In the same way, the Awolf allows you to review the gravity sensing data of the G-sensor in order to locate accidents and abnormal circumstances that occurred while you were on the road. The Conbrov is the last small dash camera to make it onto our list. Capable of filming in full HD at 1080p, the Conbrov boasts superior night vision capability as one of its standout features. The advanced starlight night vision technology promises total clarity during your night time drives and will change over automatically to day time mode or night time mode depending on the lighting conditions outside. Studies have found that despite there being 60 percent less traffic on the roads at night, more than 40 percent of all fatal car accidents occur at these hours. The Conbrov also comes with a sturdy body and anti-shocking technology to produce a sharper, clearer picture regardless of the internal or external vibrations. The sturdy mounted bracket holds the small frame of the Conbrov steadily so that even if you drive over bumpy terrain your picture will stay smooth and seamless. The Napoer dash camera is another small dash cam with great capabilities. The Napoer weighs just over 6 ounces, making it super lightweight and inconspicuous. The Napoer looks much like a point and click camera and you can remove it from the suction cup holder and use it as one should you choose to do so. The Napoer films in super HD (1296p) and comes with a large 3 inch, scratch resistant LCD screen. Watch your videos live or edit and save them without having to remove the SD card. It also comes with G-sensor technology so that any files filmed when an unusual vibration is detected in the car are locked forever. This way you never lose your most important files! The Kingmak mini dash camera is the most economical of the small dash cameras on our list. With a tiny 1.5” screen, the Kingmak is the most basic of dash cameras, but still films in full HD at 1080p. The wide angle lens films at 120 degrees – not as much as the other dash cams on this list but still enough to get a decent spread of the road. The suction cup attachment of the Kingmak is just as small as the camera itself and meant to be unobtrusive within the vehicle. The camera is so small it can be pinched between two fingers! The benefits of a small dash camera are many. For one, they are easier to handle and less awkward to install. Lighter cameras are also easier to position and reposition within the vehicle. Because of their small size, they typically are easier to install, either attachable with a suction cup mounted to the windshield or they clip on to the rearview mirror. Their small size enables them to stay out of sight and out of mind. This is crucial, as every driver needs to have as few distractions in the vehicle as possible. With a large, bulky dash camera, drivers may find their eye wandering to the device as they drive or worse, find they only have a partial view of the road in front of them through the windshield. If the driver of a vehicle finds the device distracting, cars coming the opposite directions may also feel the same way. All in all, the smaller a dash cam is, the less likely it is to detract drivers from what should be their main focus: driving! Another benefit of a smaller dash cam is that it does not interrupt the aesthetic of the car’s interior. The last thing you want in your car is an ugly device with a bunch of wires hanging all over the place. Smaller dash camsare less of an eyesore – for the most part they go unnoticed and do not clash with the car’s intended deign. Furthermore, a smaller dash camera is less likely to be stolen by thieves during a “smash and grab.” Smaller dash cams are also are less likely to be stolen because they are less likely to be seen by prying eyes. A device that is small and inconspicuous may not look like it’s worth the hassle of breaking into a car just to take it. And if there is a break-in, the smaller dash cam may go completely unnoticed by the thieves, thereby giving you the incontrovertible video evidence you need to bring the perpetrators to justice. Finally, if you are using a dash camera as a kind of security device – let’s say you use the dash cam in parking mode to detect who has been vandalizing your vehicle in the parking lot at work – then the last thing you want is for the perpetrator to spot the camera within the vehicle because he or she will either try to destroy it or steal it to hide the evidence. But if your dash cam is small and hidden, you’ll be sure to capture the person on camera and then be able to use that footage to enact justice. The same principle applies when being pulled over for a ticket. If you believe that you’ve been awarded a ticket wrongly, it’s best not to fight with the cop then and there. Let the smaller dash cam record the footage surreptitiously and then have your day in court with the HD footage that proves your undeniable innocence. One last benefit of a smaller dash cam is that it takes less electricity or battery power to run. A greener dash cam is both better for consumers and for the environment. While the benefits certainly outweigh the drawbacks, there are a few cons to owning a smaller dash cam. The first is that a larger dash cam, if visible to those outside the vehicle, acts as a kind of deterrent to anyone who might want to do damage to your vehicle. If a vandal approaches your car in the parking lot and sees a car with a large dash camera sitting on the windshield, he or she will be much less likely to run the risk of getting caught red-handed. With that said however, if the person does damage your car, and only a small dash camera is present, you are still covered since the incident will be recorded (that is, if the camera is hardwired to the vehicle and is set to parking mode). Another possible drawback to owning a smaller dash camera is that most on our list do not come with Wifi capability. Wifi allows users to watch their videos real-time or remotely and even allows users to send on car videos instantaneously via email or via upload to social media sites like YouTube, Twitter and Facebook. While this is an extra convenience and maybe a necessity for those who frequently post recordings of their drives onto the Internet, most would probably agree that Wifi capability is really an added luxury to any dash cam. A dash camera without Wifi capability will serve most users just fine. In short, gone are the days of bulky dash cams. Today’s dash cameras are smaller and more powerful than ever. Not only do smaller dash cams and record in the same high definition footage, but most come with the same advanced features as larger dash cams. These features include G-sensor technology, continuous loop recording, and wide-angle lenses. With nothing to lose and everything to gain, a smaller dash camera will satisfy your basic needs and then some. All in all, a smaller dash cam is an excellent choice for anyone in the market for a new device. Not only do they keep just as good of a watch over your vehicle as other dash cams, but more importantly, they remain out of sight and out of mind, doing the job silently and efficiently, while you focus on the road in front of you. From our list of the best small dash cams today, we’re confident that you will find a small dash camera that suits your needs and remains well within your budget. Now it’s up to you to take a look at the different options and select the one that best suits the interior of your vehicle and whose installation will be least likely to infringe upon the car’s aesthetic. Bigger is not always better and our list of best small dash cams proves it!